It goes without saying that knowing your users’ preferences, behaviors and interactions with your brand are critical in a successful 1:1 multi-channel marketing strategy. Here at Localytics, this collection or set of data is known as a User Profile, or Profile for short. 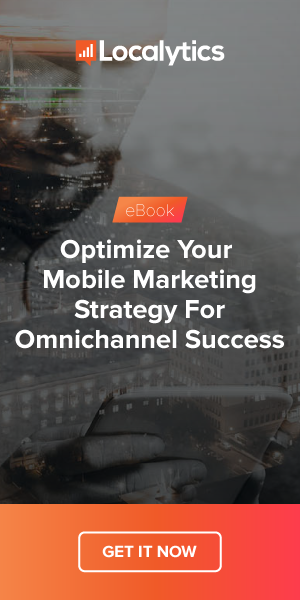 As mobile marketing matures and increasingly becomes a vital part of the enterprise marketing strategy, we’re noticing that the focus is shifting from devices to users. For example, we see customers who’ve traditionally sent re-engagement messages to all devices that haven’t opened their app in 30 days, shift to first identifying the user, then checking against their other sources to ensure the user hasn’t been active elsewhere, and then finally engaging the user if warranted. The transition to tracking customer interactions across all marketing channels has been so apparent that when we launched our integrations with Salesforce Marketing Cloud and Oracle Marketing Cloud, we chose to leverage Profiles as the central integration point. So, to support similar integrations with customer relationship management (CRM) systems and other marketing technologies, we’re announcing the beta launch of Bulk Profile Exports! Bulk Profile Exports is part of our API and is a RESTful web service that gives your engineering team the ability to easily send large amounts of customer Profile data collected by Localytics to other systems such as a CRM, DMP, or email vendor. It is part of our Localytics API. You might be wondering how Bulk Profile Exports differs from our existing Profile API. The key difference is that our original Profile API is designed to import, export, or update one user profile at a time. While this is great for real-time changes to things like a user’s account preferences, it can create issues when you need to update a large number of users’ profiles at the same time (such as when a large number of users complete a purchase after receiving a push notification). If you try to export thousands of Profiles individually, your CRM might hit rate limits, preventing you from completing your updates. This is where Bulk Profile Exports comes in. Rather than exporting each user’s updated profile individually, you can export all of your updates as part of one call and avoid issues around rate limits or other complexities. According to research conducted by Pew Research Center, approximately 51% of Americans own multiple devices (source). Would you want to annoy your users by messaging all their devices simultaneously? Especially since we know “unnecessary notifications” are one of the top reasons for app uninstalls (source). I’m certain we can all agree that rather than bombarding users with notifications on all their devices, engaging users on their most frequently used device, last used device, or preferred device is more likely to produce a favorable outcome for your brand. Well this is easily possible using an out-of-the-box Localytics’ Profile attribute. This is just one example of how you can use Profiles to cater to your customers’ preferences and share data across platforms. If building a complete picture of your users and personalizing accordingly is critical to your business, then be sure to contact your Account Manager or the Product Team today to join the Profile Exports beta. Also, be sure to watch the blog over the next month, as we’re going to be launching a beta for Bulk Profile Imports that you’ll want to take part in.